We're often inspired by release projects for upcoming Make It Monday topics. That just happened to be the case with Betsy this week as she took one of her fabulous March cards and used it as a jumping off point for this week's tutorial. She's got tips to share when it comes to using your dies to create the look of our Cover Plate Dies on your next project. Click play to learn more. –Create a project utilizing your take on the challenge. Your project must use at least one Papertrey product and making your own cover plate styles with dies..
–You will have until 7am, Monday, March 31st, to add your link to the list to be eligible to win. And you can enter as many times as you like. –One randomly selected winner will be chosen from ALL the entries on Monday, March 31st, after 7am. The winner will be posted here on this blog post, on Twitter and Facebook. The randomly selected winner will get a $25 PTI gift certificate to spend however they like! Congratulations to Becky K for being randomly selected as this weeks winner! Please email Customer Service and provide the email address you would like your $25 gift certificate sent to! And a big thank you to everyone else who participated in this challenge. There were so many amazing entries! Enjoy the rest of your week! March 2014 Blog Hop Tomorrow! Thanks for the wonderful tutorial Betsy. Betsy, I love this card!!! Thanks for showing us this great technic, I will do this. Great idea and I just love the colors you chose! Hey Betsy and others….I was watching you patiently using a pin to get your die cuts out of die and thought I would share my DIY…painters tape, tear off a small piece put it on back of die cut you want to remove, pull up and out…shazam!!! Easy peasy!!! Love your video!! 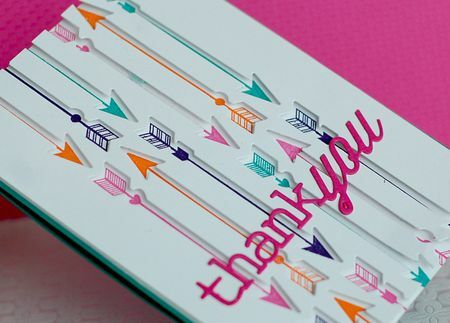 STUNNING card and idea..love it! Great idea Betsy. Will definitely try this. Thanks. 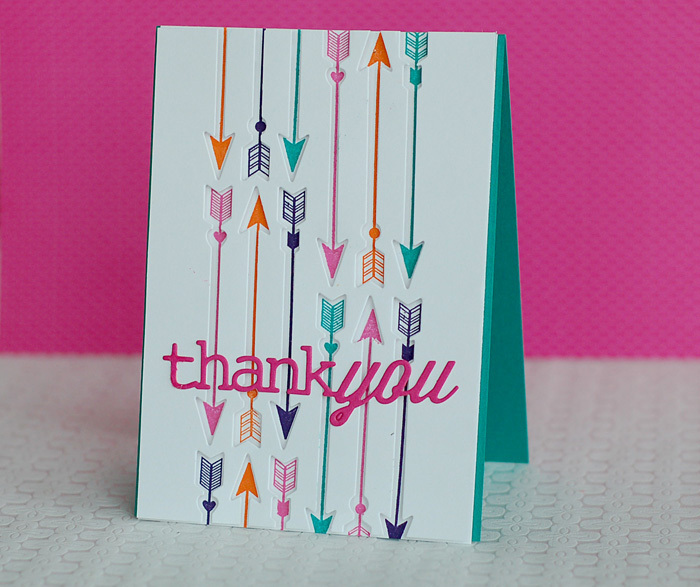 I really love this look with the arrow dies! Such a fun technique! Thanks so much for sharing and inspiring! Beautiful, colorful card! Love PTI products. Did anyone else notice the typo? DYI should be DIY! 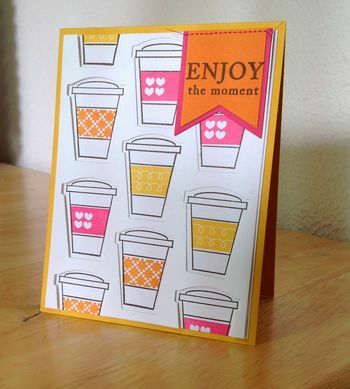 What a lovely card & fabulous idea, Betsy!